Today, I have been trying to get the house straightened up since I got a call saying they needed me at work the rest of week. I’ve been trying to get some food preparation done too. 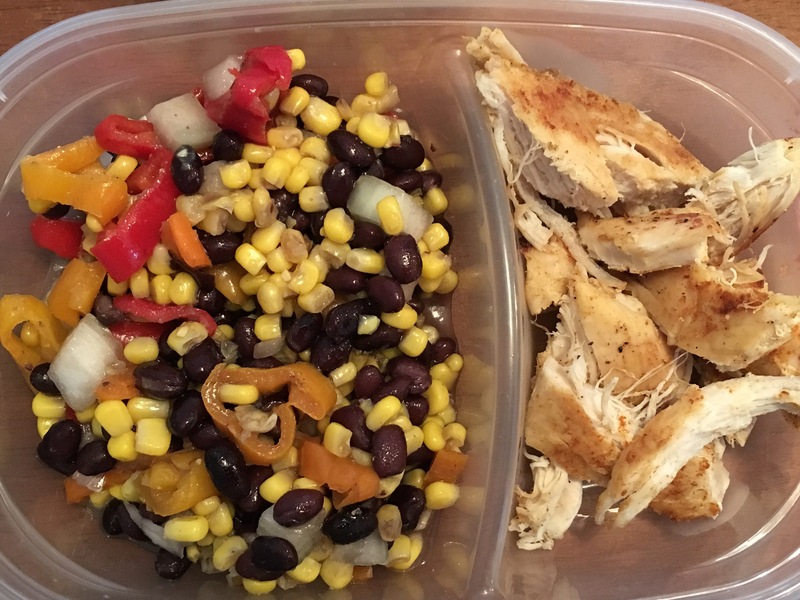 I made some chicken in my nonstick skillet and took some black beans, corn, onions and peppers mixed them up. Then took 1/4 cup of apple cider vinegar, one Tbls of honey, and one Tbls of olive oil mixed it and poured it over the veggies. My youngest and I had it for dinner but the boys wanted sausage biscuits and eggs. I have enough for the next two days. 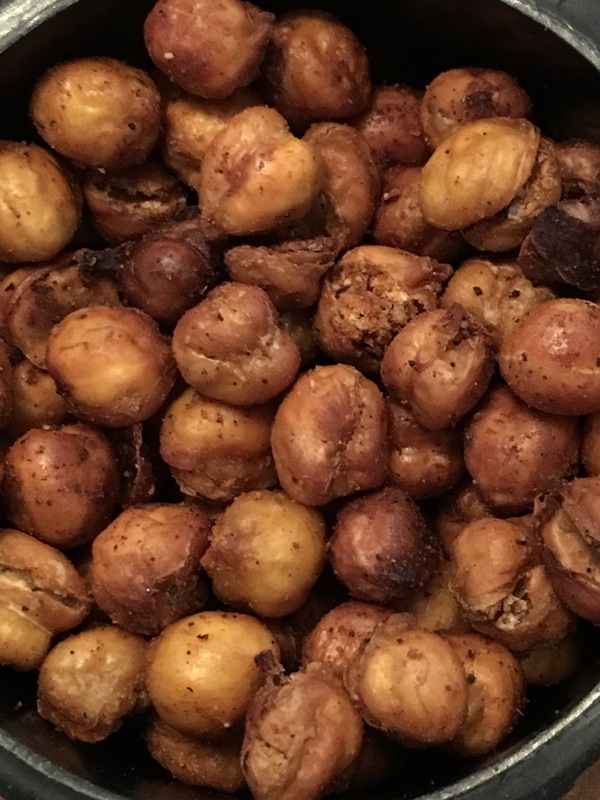 Then I made a snack (baked chickpeas )also my blog photo. My young ones both said they liked them. I plan on making more but it takes an hour. Pinterest has a lot of different flavors to make. I’m going to get some jalapeño powder and try that flavor. I also made a dessert. I made a banana split without ice cream. 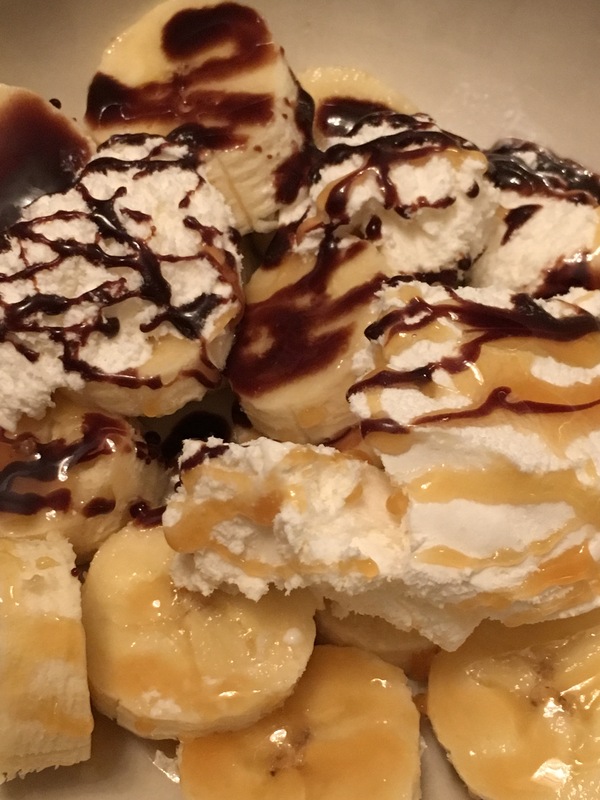 I used two Tbls of lite cool whip in place of ice cream, 1/2 Tbls of chocolate syrup, a 1/2 Tbls of carmel on top the banana. Yes, I took a picture of that too lol. I have in 18,000 steps and 135 active minutes! Diet/Exercise back on track! I really dread working when I’m supposed to be off. On the bright side I don’t have to worry about how I’m going to get my steps in.